Juvenon is the first supplement to contain acetyl-L-carnitine (ALC) and alpha lipoic acid (ALA). The patented Juvenon Cellular Health Supplement formula provides a balanced ratio of these nutrients, which have been shown to boost mitochondrial levels and slow cellular aging. 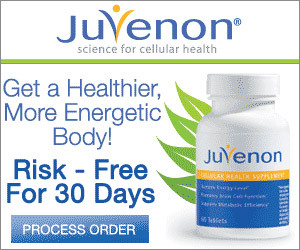 Get a Free 30 Day Trial to Juvenon and see how it can help you.